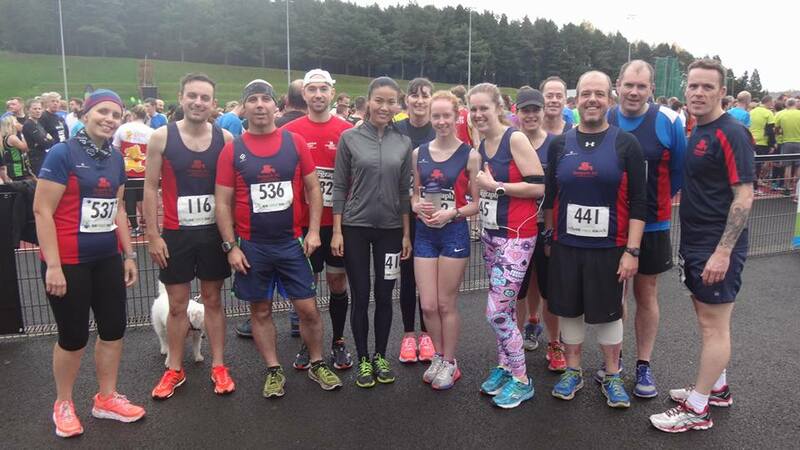 Almost 600 runners took part in the first race of the Born2Run Winter Forest series race, the Minnowburn 10k. The scenic route took competitors around the forest trails and paths which surround the home of Athletics Northern Ireland with the start and finish on the Mary Peters Track. Ian Cleland had a fantastic run placing 10th overall and Junior Jenny Haggen put in a strong performance finishing in 53:39. Seaparkers were given extra support around the course from Karen Waring. 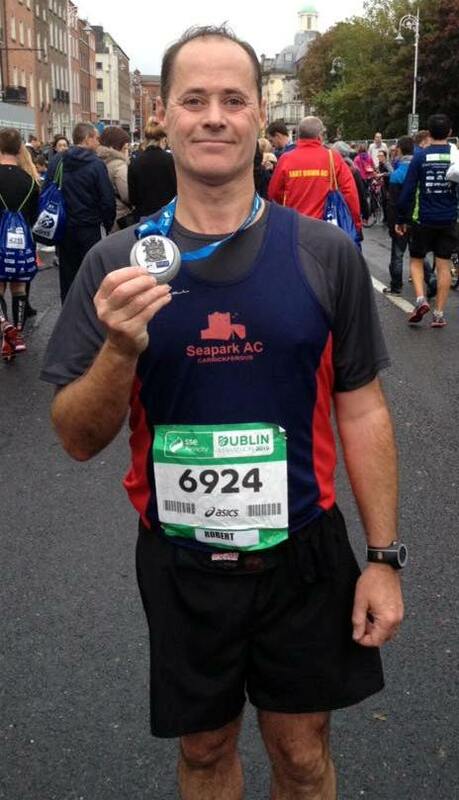 Another Dublin Marathon for Seaparkers Gillian and Gary together with Robert Murray, Colin McCrum and Trevor Lamb. 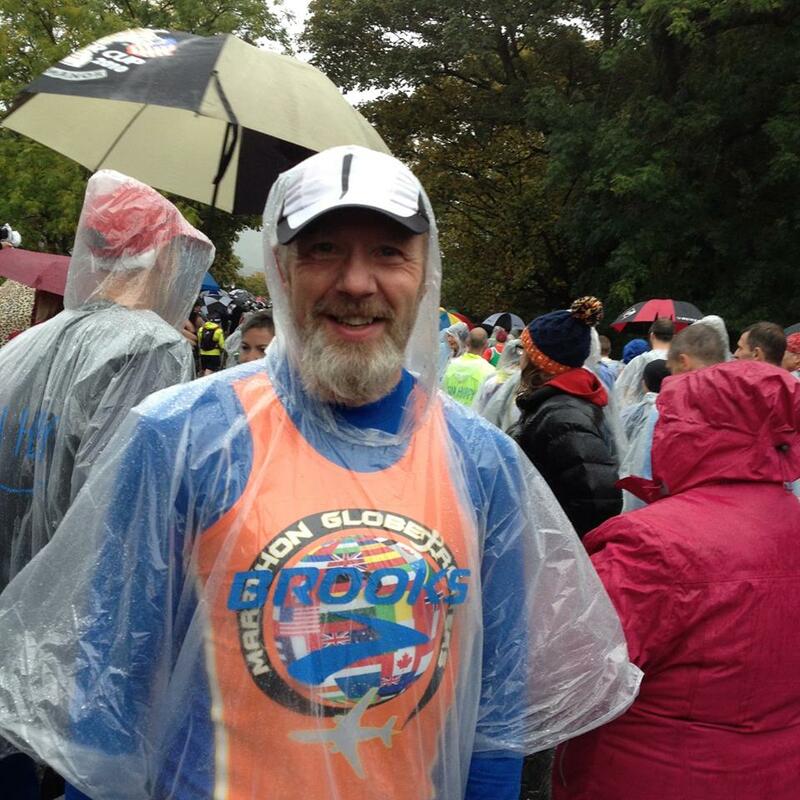 At least a couple of PB’s achieved on the windy and wet course with Trevor Lamb getting his 2nd PB in as many week’s following his Berlin marathon earlier this month. Special mention for Becki Tester there to give support and maybe sussing out the event for next year!!! Described as the toughest, and the most stunning marathon by past runners of the event made Brooks Snowdonia Marathon Eryri a must for Bobbie Irvine this year. Almost 2000 runners lined up at the start near the village of Llanberis in the heart of the Snowdonia National Park. Heavy rain and gusty winds prevailed throughout making the 3000ft of climbing over its 26 arduous miles particularly challenging. Bobbie finished the race in a time of 3hr 56 min. Marathon No. 125 for Gillian Barnhill and second this week. Gillian came home today in 3:45 and once again was first lady home. at DUB Road Playing Fields in Belfast. 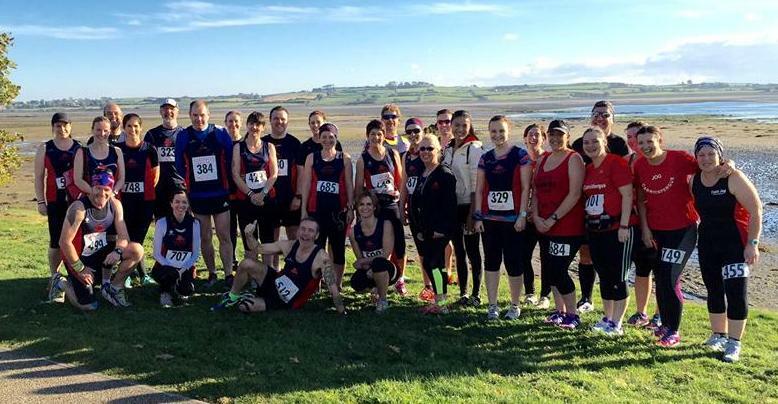 There was a strong field of local runners present as the event doubled up as the trials for the upcoming Masters British & Irish XC International. Iain finished well in a time of 32:02 over the sun drenched 8k course. Once again a large party of runners from Seapark attended the popular GR8 Dundrum race run by Murlough AC. More than 800 runners descended on the village of Dundrum in fine weather for this 6th year of the event. 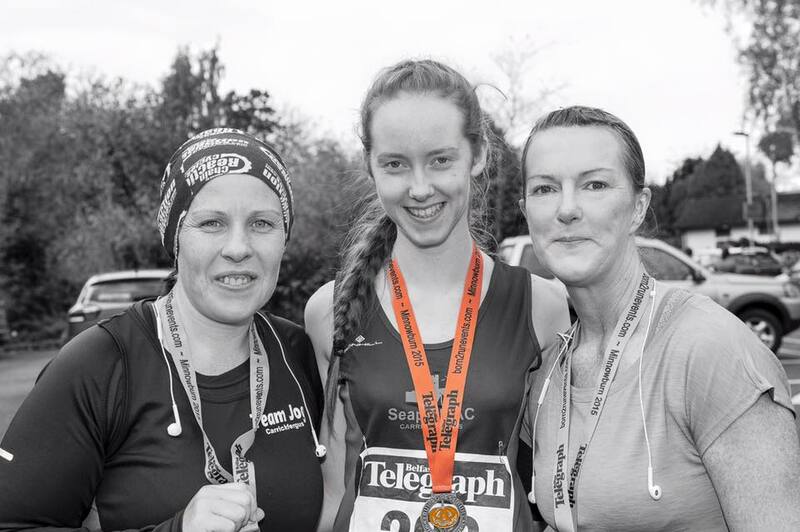 The multi terrain route remains a firm favourite with Seapark runners and improvements on last year’s times for many of the runners today. Ian Clelland was first home for the men in a time of 51:32 and Gillian Cordner was first home for the ladies in a time of 61:58. 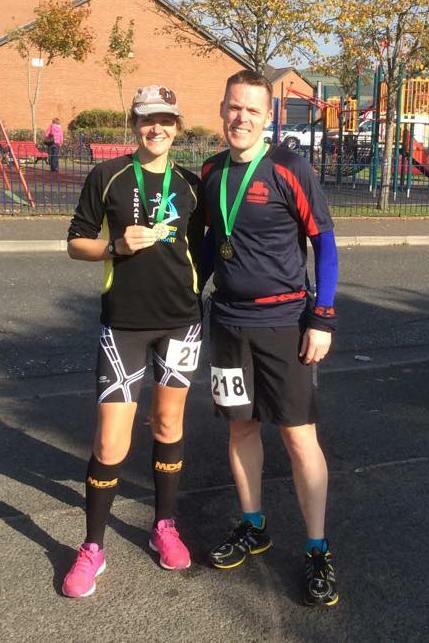 Gillian Barnhill and Brendan Rice from Seapark were off to an early start at the latest race in the East Antrim Marathon series on Wednesday 14th Oct. Today’s hilly 4 lap loop course took runners around the Greenisland, Monkstown Wood, Whiteabbey Shore Road areas. 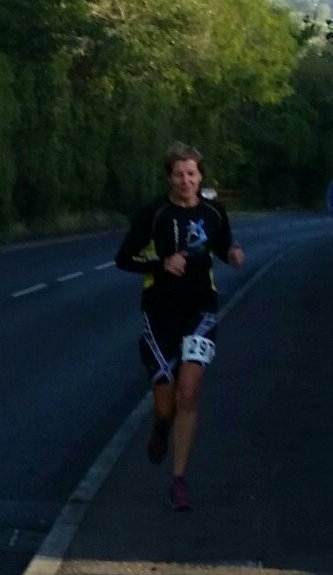 Despite feeling ill during the event Gillian Barnhill managed a strong finish and came in 1st lady (3:53). Brendan put in a strong steady run to finish in a time of 3hr 52 placing him 4th overall. 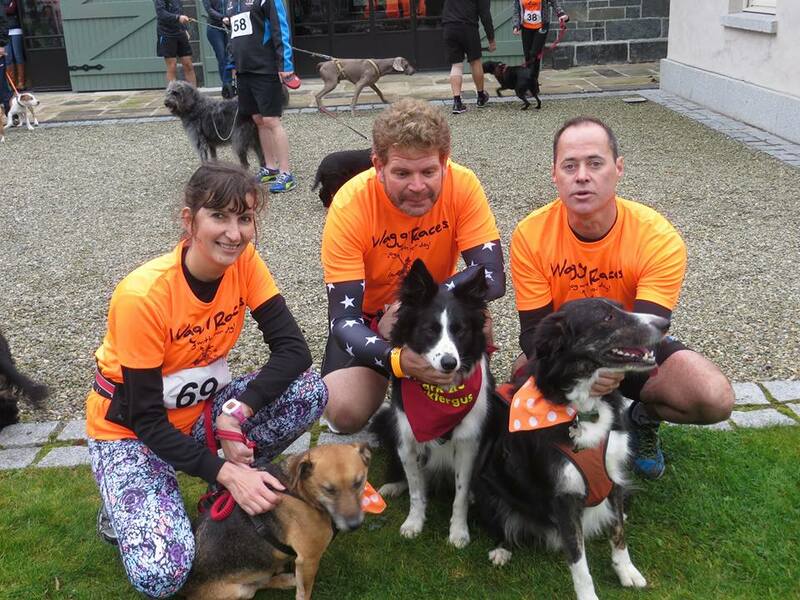 Waggy Races #5 took part today in the charming surroundings of Montalto Estate in Ballynahinch! The 5k cross country course took in gardens, fields and woodlands through the 400 acre estate. The multi terrain course provided good two legged and four legged running conditions for Seapark’s Glenda and Robert Murray and their pet dogs Cody and Basil and for Neill Harper with Oska. 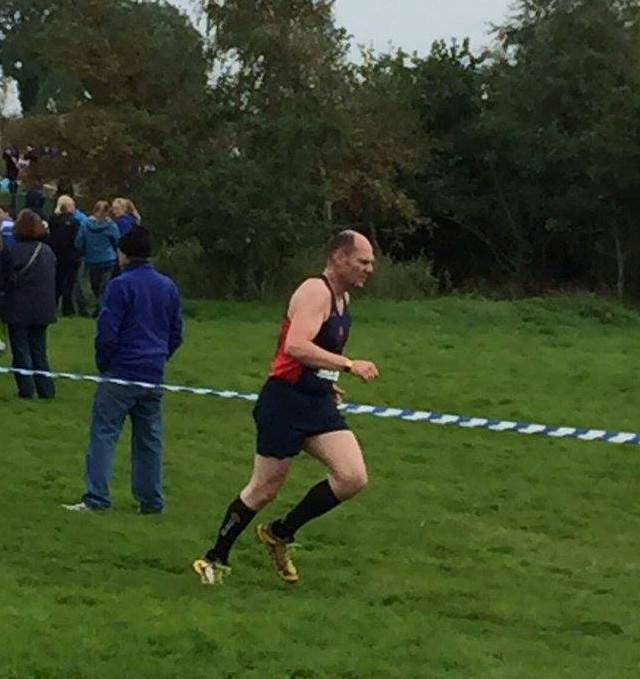 On Saturday 10th October 2015 Iain Hunter from Seapark was amongst the hundreds of athletes turned out for the first race of the 2015/16 Athletics Northern Ireland XC league, the Comber Cup XC, which was hosted by one of Northern Ireland’s oldest running clubs, Ballydrain Harriers. 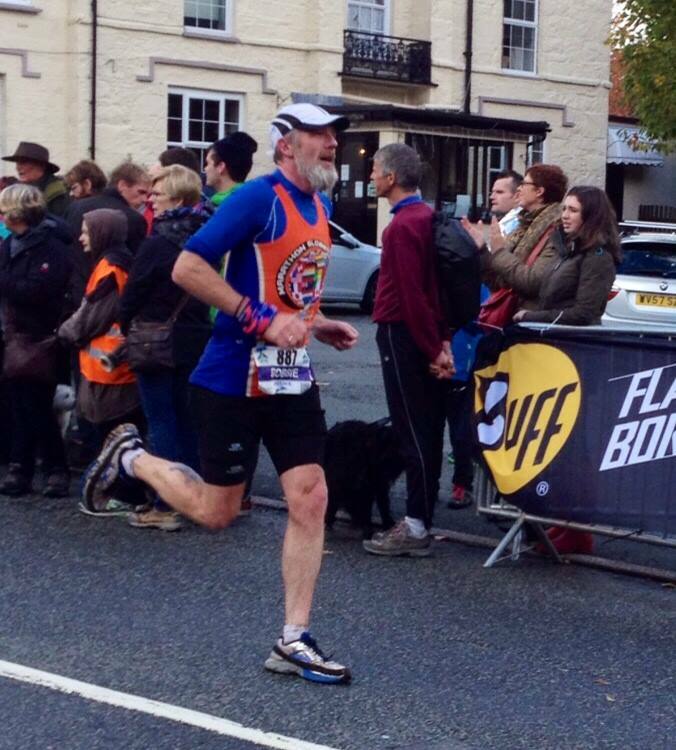 Iain had a great run finishing well inside the top half of his category in a time of 34:01. 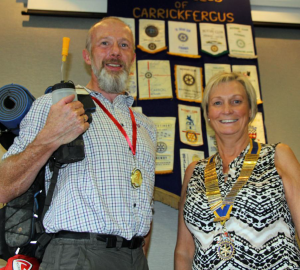 The Rotary Club of Carrickfergus recently contacted Seapark AC after hearing about three of our members taking on the Marathon des Sables in April this year. They extended an invitation to speak about the experience at one of their regular lunchtime meetings in the Loughshore Hotel. I put together a short presentation with some photographs, videos, statistics and facts about the 2015 MdS and how I prepared and trained for the event. I also took along the equipment I used, including backpack, sand gaiters, cooking equipment and some examples of meals. I also passed around some Saharan sand which I brought home with me, to demonstrate how fine it is compared to our local beach sand. The Rotarians were all very interested in the whole event and asked a number of questions about specific training, insurance, funding and dealing with the conditions in the Sahara Desert. I enjoyed the opportunity to speak about the MdS and relive my experiences and was equally delighted that the Rotary Club members enjoyed hearing about it.